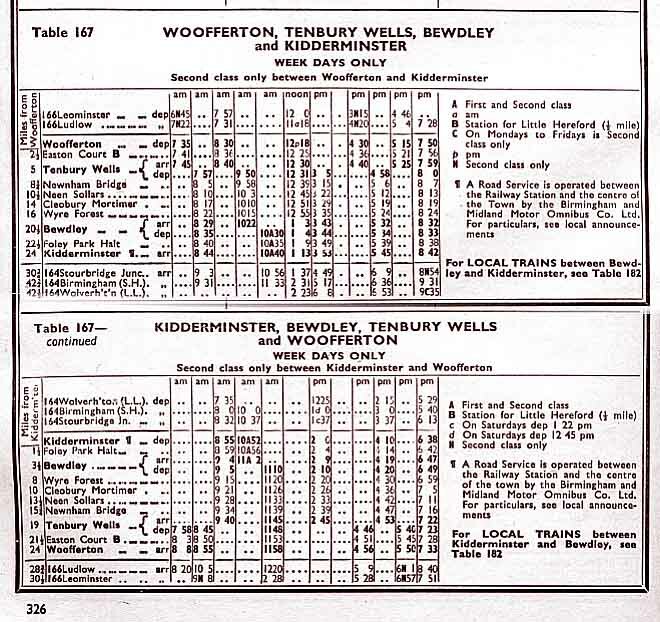 This is the timetable for the Tenbury & Bewdley Railway line for the winter of 1957-8. The line closed to all traffic on 16/4/1965 after the cessation of freight traffic to Ditton Priors. Image by courtesy of Paul Luscombe.